Are you a Magic Kingdom newbie or semi-rookie? It’s overwhelming, right? Everyone talks about Magic Kingdom and how incredible it is, so you don’t want to miss a beat. But, when you start to explore the park it can be hard to navigate through all the options. 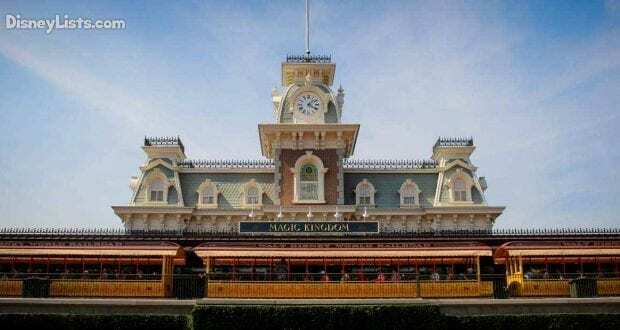 Here are a few planning tips we hope will help you begin your Magic Kingdom trip planning for an exceptionally “magical” visit. 1 – Six Lands To Explore! The first tip to planning Magic Kingdom is having a basic understanding of the park. Go ahead and look up a Magic Kingdom map and start exploring that layout of the park and the numerous things it has to offer. From a vast list of attractions to entertainment around every corner and unmatched dining – Magic Kingdom has it all! The easiest way to begin your understanding of Magic Kingdom is by being sure you have a grasp on all six lands held within in this one park. The six lands include: Main Street U.S.A, Adventureland, Frontierland, Liberty Square, Fantasyland, Tomorrowland. Understand their theming, their attractions, restaurants, characters – the works. You’ll start to see that breaking the park down into six separate areas makes it easier to understand. Absolutely! If you can swing two days at Magic Kingdom, we promise your experience of the park will be a much better one. Two days takes away the stress of rushing around and trying to tackle everything that honestly isn’t possible to defeat in one day. This will allow you to spread out your must-dos among two days and really explore the park at a steady pace. Like all of Walt Disney World’s four parks, Magic Kingdom offers Extra Magic Hours (EMH) for Disney Resort guests. This means if you are a Disney Resort guest, you get to enter the park before it officially opens to the public. On the flip side, EMH in the evening will allow you to stay in the park after it closes to the public. Anytime you can schedule a Magic Kingdom visit as a resort guest during EMH is a plus! AND it’s no additional fee for Disney Resort guests. Another tip is to schedule your visit around a special ticketed event like Mickey’s Not-So-Scary Halloween Party or Mickey’s Very Merry Christmas Party. While this is an extra ticket fee, the bonus time in the park with special entertainment, characters, and more is well worth the cost in our opinion. The more time in the park, the better! Go ahead and grab your phone now and download the My Disney Experience (MDE) app if you haven’t already. This little app is literally the key to the Kingdom and you don’t have to be in the park to start exploring it. Download and check it out well before your trip so you’ll have no troubles navigating the app once in the park. Use this as your park map, your Times Guide to character meet and greets and entertainment, check wait times, Mobile Order food, make dining reservations, see your PhotoPass photos, and more! So, it used to be that you’d arrive 15-30 minutes or so before Magic Kingdom opened. Roughly 5 minutes before guests were let in for official park opening, there would be a show for all the eager guests right above them at the train station. This has changed drastically! Now, if Magic Kingdom opens at 9:00 am, Cast Members will typically allow guests to enter the park around 8:00 am. Guests can walk all throughout Main Street U.S.A. to shop and grab coffee and treats. Cast Members line the Castle hub to keep guests from going into the different lands. About 5 minutes before the official park opening time, “Let The Magic Begin” is presented as a sweet welcome show on the stage in front of the Castle. Arrive well before park opening and enjoy unwinding on Main Street U.S.A. before the rush of the day! While Magic Kingdom has a great selection of both quick-service restaurants and table-service restaurants, our must-do for dining here has to be dining in the Castles! Cinderella’s Castle is one of the most iconic images in the world and you have a chance to dine within it at Cinderella’s Royal Table. Breakfast, lunch, and dinner – all great meals here! With Princesses visiting your table and the incredible décor and views, this is definitely a must-do restaurant. The second castle is Beasts’ Castle. We highly recommend dining in this castle at the restaurant known as Be Our Guest. Be Our Guest makes you feel like you’ve literally been swallowed up into the Beauty and the Beastfilm. Breakfast and lunch are quick-service experiences while dinner is a prix fixe meal. Plus, at dinner, guests have a chance to meet the Beast himself! Keep in mind these two Castle reservations go extremely fast. Book 180-days in advance to snag a reservation. No trip to Magic Kingdom is complete without a Dole Whip! The place to grab this refreshing, ice cream style treat is Aloha Isle in Adventureland. 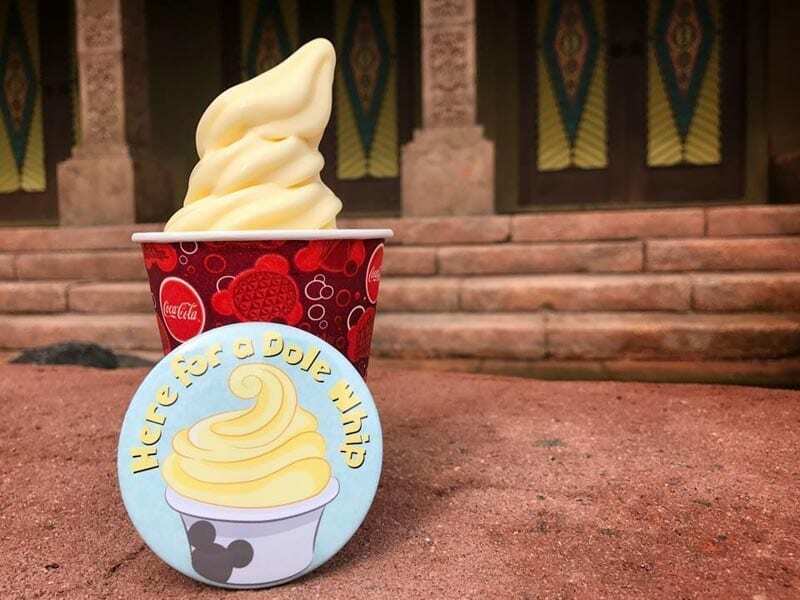 Even better, skip the lines altogether and use your MDE app to Mobile Order your Dole Whip. After ordering on your phone just let them know when you are there, and skip the line altogether. A super speedy and delicious Dole Whip! 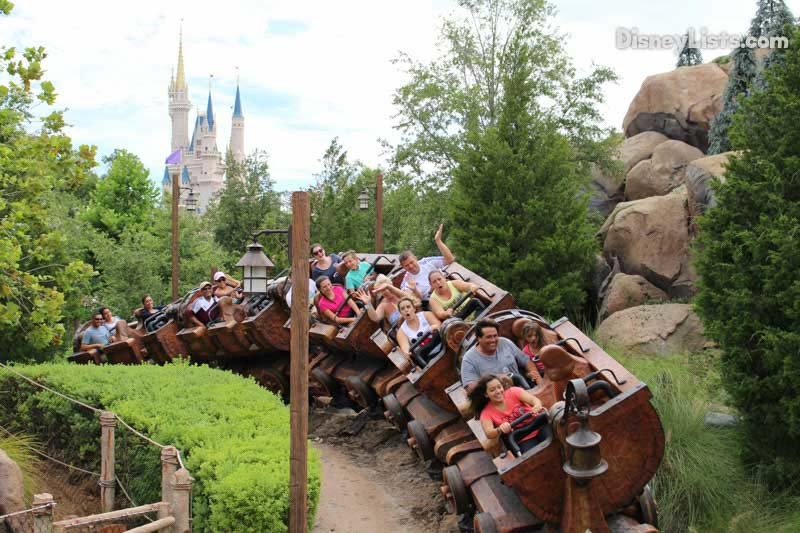 If we could only have one FastPass (FP) at Magic Kingdom, we’d go for Seven Dwarfs Mine Train. It’s not that it’s necessarily our favorite attraction in Magic Kingdom, but it’s definitely the one that’s most worth a FP. While it’s a fun ride, it’s rather short and not worth standing in a three-hour line for! FP this one for sure. The other two FP selections really depend on your preferences but for line lengths, we’d recommend Space Mountain and Peter Pan’s Flight. Disney Resort guests are allowed to select three FP 60-days in advance while non-resort guests can start selections at 30-days in advance. Once in the park and all three FP have been used, go ahead and pull up your MDE app and snag a 4thFP and so on until the park closes. Magic Kingdom is the perfect park for characters galore! Several Disney favorites are spread throughout the park including Mickey, Minnie, Goofy, Donald, Daisy, Pluto and so on. Let’s not forget about the incredible line up of Princesses like Snow White, Cinderella, Tiana, Rapunzel, and more! There are also a few unique characters that can only be seen at Magic Kingdom such as Merida and Elena of Avalor. It’s good to be aware that characters don’t typically wander around the park, but instead are in the designated meet and greet locations. We mentioned FastPasses above – there are a few characters that have FastPasses available too. Keep in mind, a great way to see loads of characters all at once is by watching the daily Festival of Fantasy parade. As if the nighttime spectacular, Happily Ever After, isn’t enough… Magic Kingdom hosts three different Fireworks Dessert Parties. If you make a reservation for a Dessert Party, you’ll have the opportunity to dine on loads of incredible desserts before, after, or even during fireworks! The cost for each dessert party varies so be sure to check this out when making reservations. Fireworks Dessert Party – Tomorrowland Terrace has reserved seating in the Tomorrowland Terrace with great views of the Castle and fireworks right from your seat. Fireworks Dessert Party – Plaza Garden Viewing will let you dine on desserts in the Tomorrowland Terrace before the nighttime spectacular happens. Just before the show, you are guided out to a reserved standing area in the Plaza Garden to view the show. This one has the best views yet! Magic Kingdom After-Fireworks Dessert Partyoffers the reverse of the above. You’ll still have a reserved viewing area but then be guided to the Tomorrowland Terrace for desserts AFTER the fireworks. Let the crowds leave the park while you enjoy desserts! Got these 10 planning tips down? Let’s get to planning the most “magical” Magic Kingdom day yet!